NEI Fly Fishing is a trout fishing guide service based in Decorah, which is located in the Driftless Region of Northeast Iowa. We offer wading trips on the spring-fed creeks of Northeast Iowa. 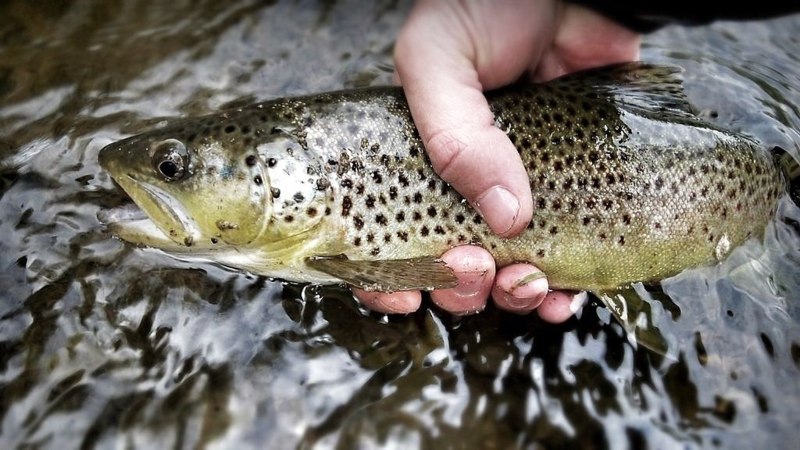 Let us show you some of our favorite streams, whether you are a seasoned angler looking to explore new water or the first timer (which we all have been) looking to learn the skills necessary to catch a trout on a fly. Let us help you have a successful and fun learning experience while we fish the beautiful water in scenic Northeast Iowa. Most of the trout streams we will fish are located in the extreme Northeast corner of Iowa and are a short drive from Decorah. Although only a few streams in Northeast Iowa are posted catch and release, we at NEI Fly Fishing practice and encourage catch and release. Decorah is a vibrant and eclectic town with many restaurants, hotels, day spas, unique shops and markets, town parks and outdoor activities that you and your family will enjoy.